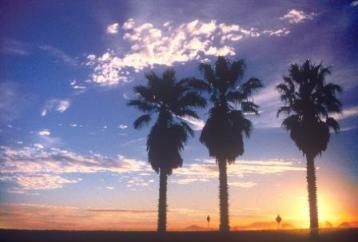 This is your year to find the best family vacations on beautiful Southern California beaches! Buried under the sand dunes of northern Santa Barbara County lies remnants of a lost "Egyptian" city created in 1923 by Cecil B. DeMille? There's a shop in La Jolla with a hidden staircase that winds down to a sea cave? In Long Beach, docked right next to the ocean liner Queen Mary, a Soviet-era Russian submarine is open for tours? At San Diego's remote Silver Strand beach, you're just as likely to see California seals in the water as Navy SEALS? Redondo Beach has a salt-water, chlorinated kiddie's lagoon, just steps away from the broad sweep of Los Angeles County's South Bay beaches? In Malibu you can take tours movie stars' beach homes from the water? 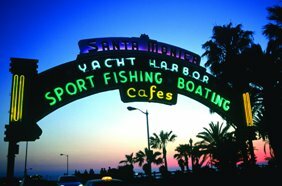 Come and explore our site for other "must-sees" along with beach-by-beach information for each town along the Southern California coast, from Newport Beach to Ventura to Oceanside; from Huntington Beach to Catalina Island. Check under the link for each city to find our hotel and restaurant directories – the most comprehensive on the Web -- as well as great bargains. We're also constantly adding new stories about own favorite people and places along this golden stretch of coast we're lucky to call home. Want to know more? Click on the links below to find some of our most popular articles, or click on the links in the Navigation bar on the left side of this page. We're glad you found us, and we'll see you on Southern California beaches!